This video is shows the user experience with NVIDIA GRID K2 and Citrix XenDesktop HDX 3D Pro and Citrix XenApp HDX 3D virtualized with Citrix XenServer. The users can access their DirectX / OpenGL applications through a Citrix receiver on any device with low bandwidth. Citrix XenDesktop HDX 3D Pro have a deep compression codec, which Citrix XenApp HDX 3D dont have. This video shows the bandwidth consumption, and XenDesktop HDX 3D Pro is the leader in using less bandwidth on high latency connections. 1 physical server in this use case: Dell PowerEdge R720 with NVIDIA GRID K2. 1 virtual machine with Windows 7 64bit with Citrix XenDesktop 5.6FP1 HDX 3D Pro and a second virtual machine with Windows Server 2008R2 with Citrix XenApp 6.5 HDX 3D. 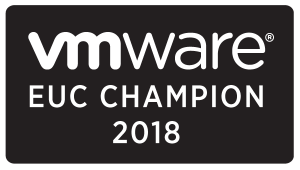 Both machines are virtualized with Citrix XenServer 6.1 and each virtual machine have GPU attached with GPU-passthrough to the a NVIDIA GRID K2 card. The Citrix XenDesktop HDX 3D Pro have a deep compression codec integrated that usages low bandwidth, its a 1-1 solution. Best on WAN, fastest framerate. Nice work! Awesome to see these results on XenApp! Is there any noticable difference between XA 6.5 and Excalibur that you are aware of? Do you have experience with WAN Optimization and how this helps to reduce bandwidth further? The deep compression codec for Citrix XenDesktop HDX 3D Pro will be intergrated for Citrix XenApp in Excalibur so there is a big difference with bandwidth consumption. This means that XenApp in Excalibur will be the best platform for user density and works great over WAN with high latency as HDX 3D Pro have been known to deliver for several years. Yes i know of cases with WAN optimization, I will gather these and share them. Just a quick question on your setup. We just got a system similar to yours (R720, 2xGrid K2 cards, XenServer 6.1, XenApp 6.5). The GRID K2 driver installs (320.00), but the device shows up as stopped in device manager. Did you use any special options when installing the nVidia driver? Or somehow remove the default VGA device? Hi Steve normal I install the GRID driver to device and when its workin, I disable the default VGA device. Have you applied latest hotfix to the XS6.1 there are some crucial hotfixes to the GPU pass-through, that could crash the GRID’s, when you power on a VM with GPU pass-through. What is the software you were using for this test? Amazing setup you go there! 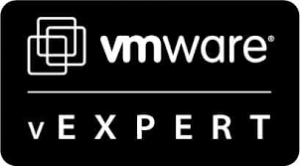 However i read on a blog somewhere that HDX 3D is only supported on a Physical XenApp machine.. is there any special configuration changes that you had to do to make it work on a XenApp VM? Also, how exactly do you enable HDX 3D rendering on GPU? 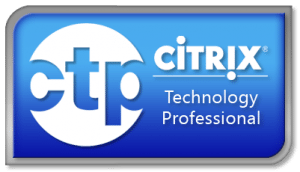 using Citrix Policies alone? Noman – HDX 3D is supported with XenServer GPU Pass-through and NVIDIA vGPU and VMware vDGA. Feel free to contact me at thomas@poppelgaard.com if you want me to help you get it set up. Could you tell me how much will cost this solution ? only hard+ soft/licenses , without configuration/consultancy .